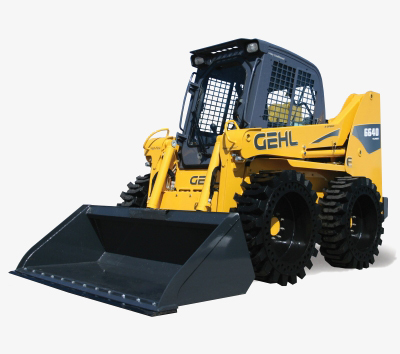 Whether you are in the mining, agriculture or construction industry, Gehl Skid Steer Loaders can help you get the job done faster! 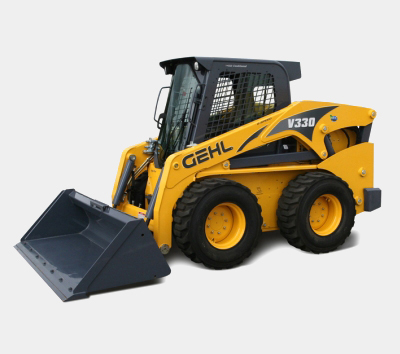 Gehl Skid Steer Loaders are designed to enhance performance, deliver versatility, reduce noise and increase comfort! 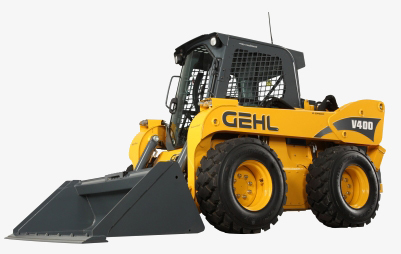 High horsepower and hydraulic systems allow for easy flexibility and the hydraulic self-levelling action keeps skid steer loader attachments level during operations. Heavy load capacities up to 1 747 kgs! Manitou offers a range of skid steer attachments with innovative, quick-change designs. 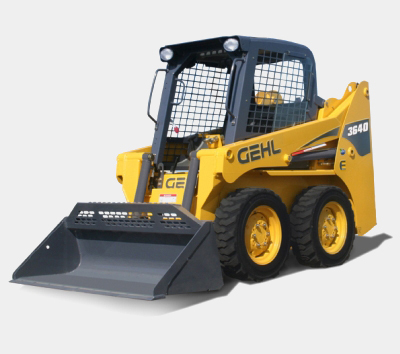 These skid steer attachments can also be customised to suit specific applications. 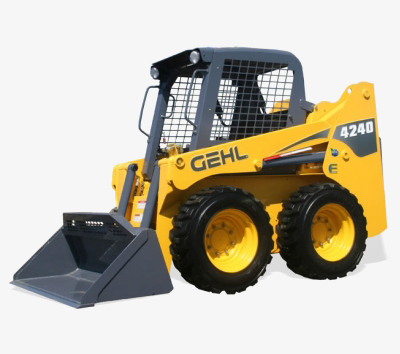 Includes hand/foot controls and dual-hand controls for ease of control; features high-flow auxiliary hydraulics and a host of operator comfort features. The low profile design increases operator visibility and lift loads in a nearly vertical path. The world's largest skid steer loader. 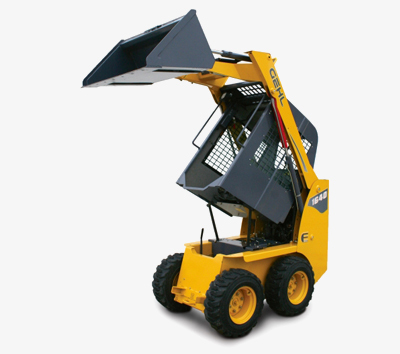 It is a robust, vertical lift product designed to meet each operations’ specific needs. Extremely compact and fast, less than a metre wide it moves through narrow spaces unhindered. The ‘little giant’, brings exceptional power and hydraulic performance to small spaces with very low noise levels. An extremely safe machine, the 4240E has clear side and rear sight lines for expansive views for increased safety and precision placement. Less than 1.5 m wide, the 4640E Power2 offers exceptional hydraulics with optional high-flow power, and the heavy duty drivetrain comprises durable components. The 5240E Power2 is high-powered with a turbocharged Yanmar engine and auto-shutdown systems. A grid heater starter aids in cold weather starting. 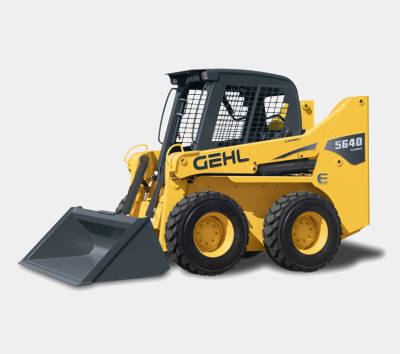 A longer wheel base and lower centre of gravity allows the 5640E to achieve a stable ride. The HydraGlide™ ride control option for even smoother operation is available. High operating capacities and rapid acceleration is what sets the 6640E apart from its peers. Interior cab sound levels are low, as is the external noise. 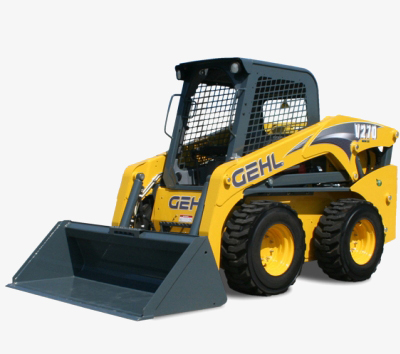 Each skid steer loader provides complete views for increased operator safety. 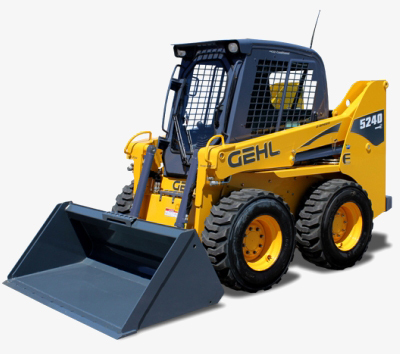 For enhanced operator protection skid steer loaders can be fitted with a level II ROPS/FOPS. Adjustable operator restraint bars ensures protection and serves as a padded armrest. The tilt and lift functions are suspended using a lockout system. Every Manitou skid steer loader is supported with a nation-wide service and support network. With expert skid steer loader technicians on stand-by 24/7, 365 days a year - along with 95% skid steer loader parts availability - Manitou helps ensure peak operation and maximum productivity. 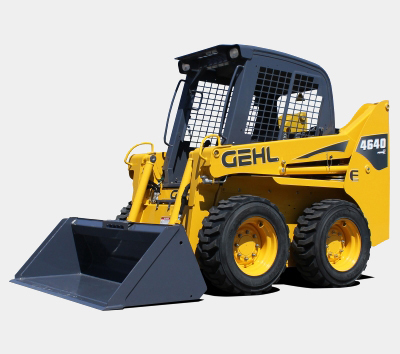 Main skid steer loader service centres are located in Johannesburg, Cape Town and Durban. Manitou also supports customers in KwaZulu-Natal, Eastern Cape, Vaal Triangle, Free State and North West Province, as well as the rest of South Africa. Service also available in Africa.